Hiking Hounds, llc. Licensed, Insured. a dog of my own, I’ve borrowed dogs to hike with. I have been hiking Utah’s mountains since my family relocated here from California in 2007. 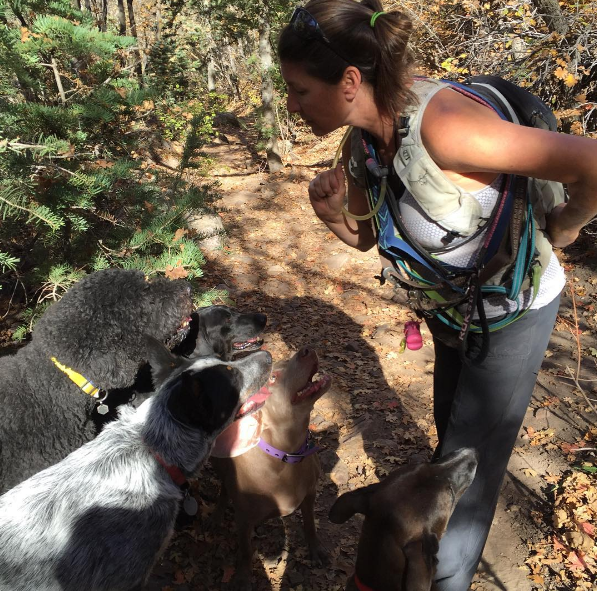 During my hikes, I began to cross paths a professional dog walker who has been in business for over eleven years. We began to work together; she mentored me in all aspects of dog etiquette, behavior and socialization. 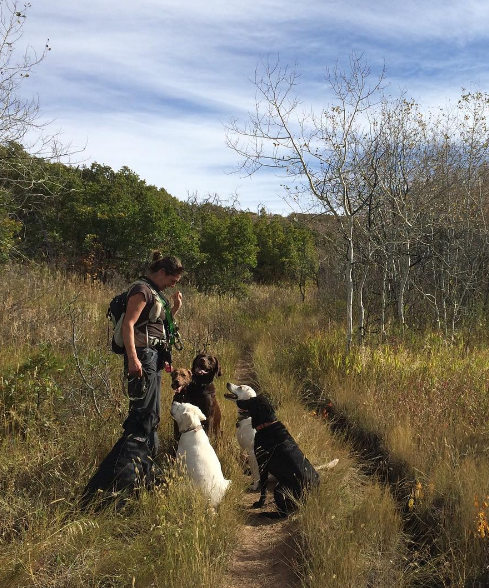 Hiking Hounds provides socialization and stimulation; as well as much needed daily exercise. 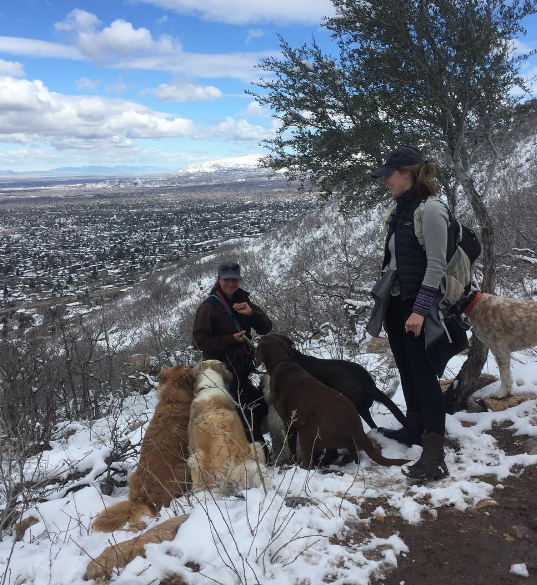 The dogs that I hike with thrive together as a pack in both natural and urban settings. The dogs I walk individually are equally satisfied with a purposeful urban walk. The dogs and I go out in any weather. As my relationship grows with your pets, they depend on me and therefore, I am prompt and reliable. I insist that my Hiking Hounds are good citizens on leash or off leash. As well, Hiking Hounds abides by responsible dog guardianship and has a 'leave no trace' policy. With each new dog I introduce to the pack, I work with their abilities and disposition to carefully incorporate them into my pack. With my careful supervision, new dogs are quickly adjusted to be a part of the Hiking Hounds pack. I love the dogs, their personalities, their relationships with their people, and their pack. Watch your dog become more content with consistent exercise and stimulation. I look forward to meeting you and your pets!